All churches love certain things. Some love fellowship, some worship, some prayer. Those are good loves. Some are neutral loves. Some are not. Other churches love their building, their history or their strategy. Those can be good or bad, depending on what we mean by love and how we value those things. But, some things that churches love hurt their mission and hinder their call. 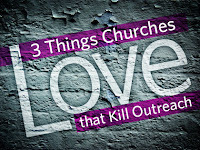 Here are three I’ve observed from my work with thousands of churches. There is nothing wrong with the fifties, except we don’t live there anymore. We must love those who live here, now, not yearn for the way things used to be. The cultural sensibilities of the fifties are long past in most of the United States. The values and norms of our current context are drastically different and continue to change. The task of contextualization is paramount to the mission of the church because we are called to understand and speak to those around us in a meaningful way. “Two questions,” writes Andy Crouch, “haunt every human life… The first: What are we meant to be? The second: Why are we so far from what we’re meant to be? These questions reveal a crisis: human beings recognize our lives are supposed to have a purpose and, all to often, we sense also that we are not fulfilling that purpose. This being said, Crouch, executive editor of Christianity Today, is no existentialist. In his newest book, Strong and Weak, he insists that the human condition is what it is not because life is an absurdity in which we clamor for meaning in a universe devoid of meaning, but rather because we have forgotten, sometimes willfully, what is necessary to achieve fulfillment, to flourish – to be what we were made to be. The TV show Extreme Makeover follows the stories of the lucky individuals who are chosen for a once-in-a-lifetime chance to be given a truly Cinderella-like experience: a real-life fairy tale in which their wishes come true, not just by changing their looks, but their lives and destinies. This magic is conjured through the skills of an “Extreme Team.” What if we applied this magic to the 85% of churches in the U.S. that are in need of an extreme makeover? Let’s do it and see what we come up with. 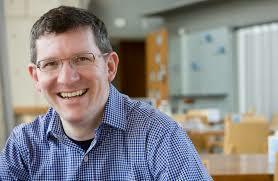 Keep in mind that most turnarounds are not incremental but exponential – in other words, extreme. Most intelligent people will agree that the Western Church is in looking shabby and is in need of an extreme makeover. I’m not just referring to mainline denominations, but just about any church of any kind, anywhere in the U.S. and Canada. Western Christianity is a mess and needs to turn itself around or we could wake up in 25 years and find that our situation is much like the situation of Europe – a totally irrelevant church. So what do we do?